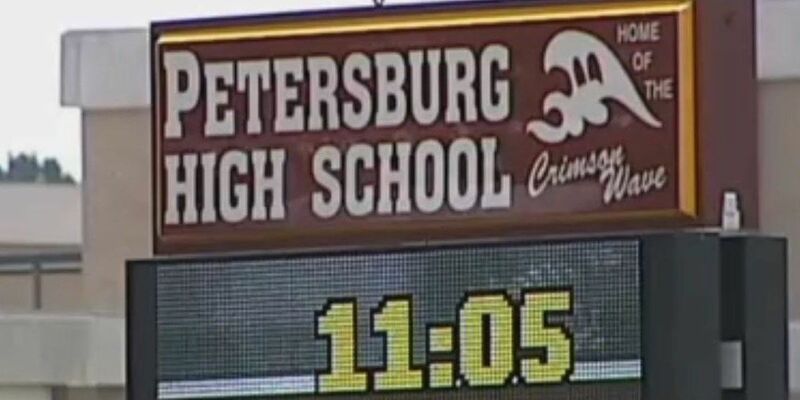 PETERSBURG, VA (WWBT) - Two 16-year-old students - a boy and a girl - have been charged in a bomb threat that caused Petersburg High School to be locked down on Tuesday morning. Police say the call came in at 10:41 a.m.
"Officers arrived at the school and students in the reported area were cleared from that section of the school and moved to a safe location," the Petersburg Police Department said. "The school was placed on lock down during this time." No explosives were found during a search. The school day resumed as normal after the lock down.